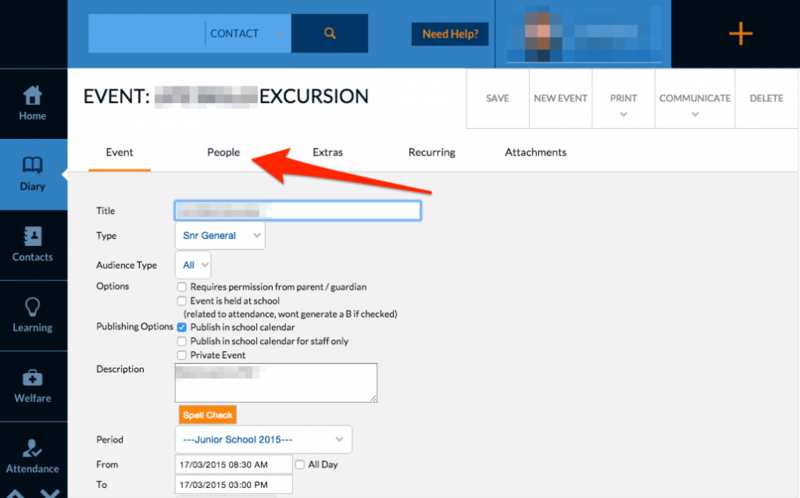 This is a step by step tutorial that shows you how to email the attendees of an excursion in Edumate. This requires the excursion to have been created in the Edumate calendar. 1. 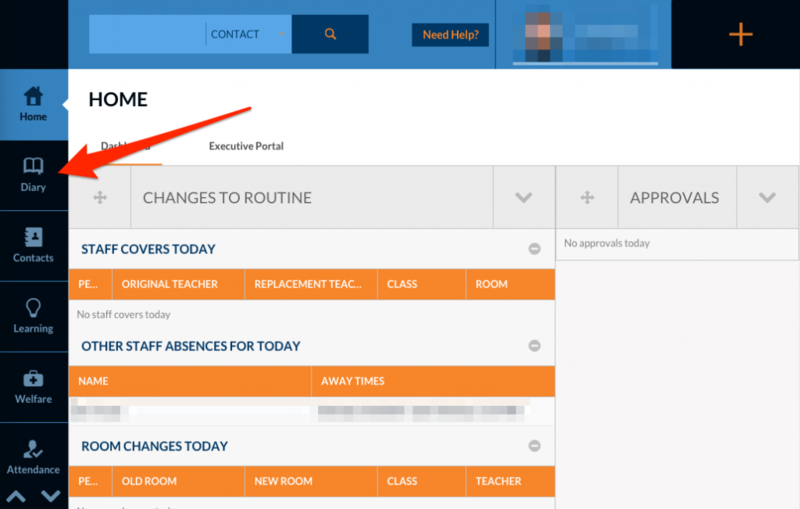 Log into Edumate on either your laptop or iPad. 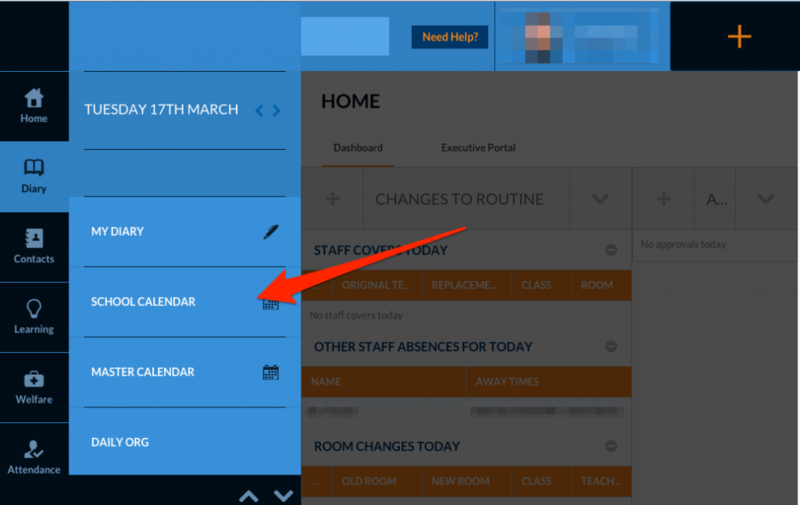 Click on Diary on the left hand side. 2. Click on School Calendar. 3. 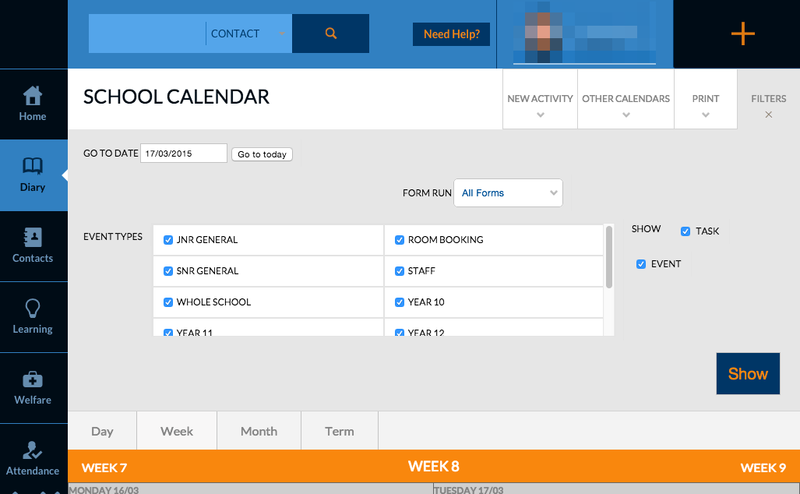 Once the School Calendar has loaded, scroll down to see the list of upcoming events. 4. 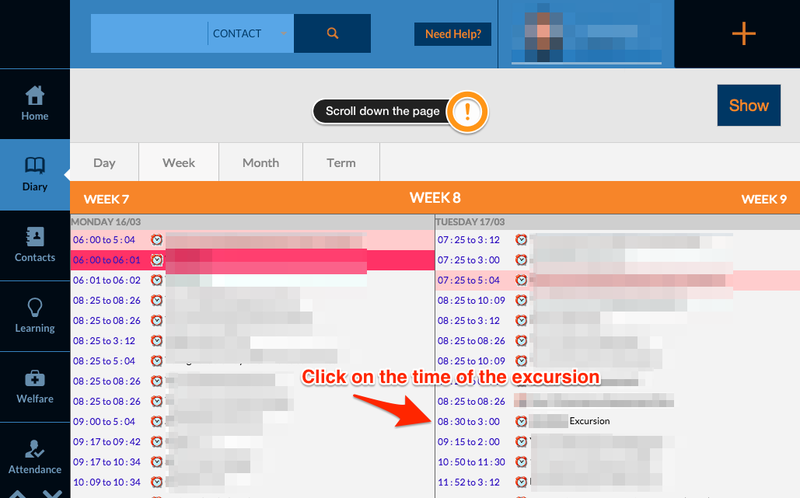 Click on the time of the excursion to access its details. 5. Once this has loaded, click on People. 6. Scroll down the page until you see the names of the students in the event. Tick the check box at the top of this list, above the first entry. 7. 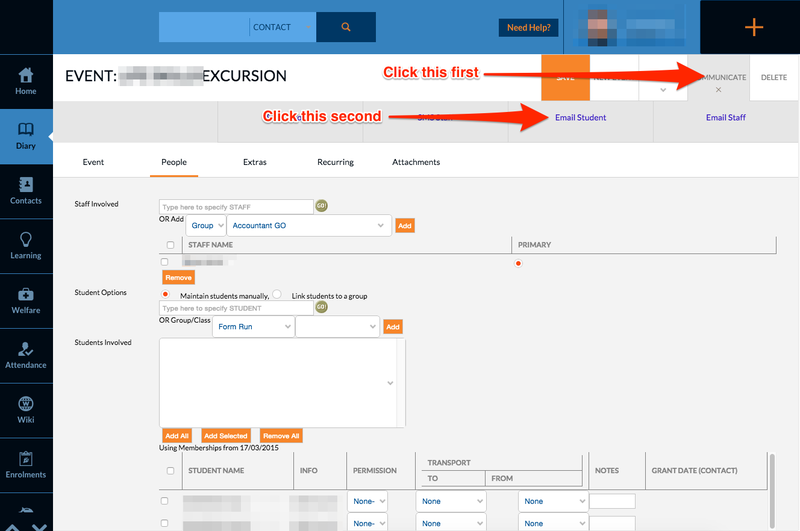 To email the students, click on Communicate in the top right hand corner, and then click Email Student. This will then show the normal email dialogue box. Send the message to complete the process. If you require any further assistance with this, please do not hesitate to contact IT Support at helpdesk.danebank.nsw.edu.au or 1111.